Summer's finally here, which means that furniture and home goods buyers and designers will be criss-crossing the country and braving the heat while they attend some of the year's most anticipated trade shows. With the holiday season quickly creeping up on those of us in the retail industry, it's important to get out there during Q2 and Q3 and make some connections that will help give your business a boost for the rest of 2017. Whether your company is strictly focused on brick-and-mortar or you're involved in ecommerce and dropshipping, the trade shows on this list all offer patrons and exhibitors some excellent opportunities to forge new, profitable business relationships. Tupelo is back! After an ultra-successful Winter Market back in January, the Tupelo Furniture Market will once again play host to 500+ exhibitors and 30,000+ furniture buyers from all over the world. 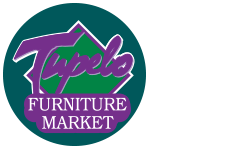 One of the premier furniture trade shows since 1987, Tupelo Furniture Market is always a "who's who" of the industry, featuring top furniture brands, as well as the biggest brick-and-mortar stores and hottest ecommerce retailers. A staple in the interior design trade show circuit since 1969, NeoCon bills itself as the largest commercial interiors show in North America. Needless to say, if you're in the commercial interior design space, this is absolutely not to be missed. There are probably better options if your business is more focused on home décor, residential furniture, and kitchenware, though. In typical Texan fashion, the Dallas Total Home & Gift Market is an utterly enormous event with thousands of retailers and manufacturers in the home décor, gifts, gourmet, housewares, accessories, and lighting industries. Dallas Market Center has multiple permanent showrooms and markets held all year round, but the June Dallas Total Home & Gift Market will have temporary exhibitors as well, plus unique resources across all product categories. Like Tupelo Furniture Market and Dallas Market Center, AmericasMart in Atlanta holds a few events every year. Their July market is one of the largest in the industry, featuring more than 8,000 brands across all categories of gifts, home décor, and furnishings. The July market will feature the International Gift & Home Furnishings Market from July 11 - July 18, as well as the International Area Rug Market from July 12 - July 16. The sheer size of the Las Vegas Market is enough to warrant a visit. World Market Center Campus, which hosts the Las Vegas Market in downtown Vegas, is a 5 million square-foot venue with 40 floors filled to the brim with furniture, bedding/mattresses, lighting, housewares, textiles, home décor items, and general gift products. It's hard to overstate just how massive the event is and just how many business opportunities can come from simply attending it. This summer, NY NOW will arguably be retail's most anticipated event on the United States' East Coast. For five days, the Javits Center in Manhattan will host an anticipated 24,000+ retailers and 2,300 exhibitors, all of whom fall into at least one of the event's three "Collections": Lifestyle (Baby +Child, Gift, Personal Care + Wellness, Personal Accessories), Home (Home Furnishings + Textiles, Tabletop + Gourmet Housewares, Accent on Design®), or Handmade (Designer Maker, Global Design, Artisan Resource®). If you're in any of those businesses, we expect to see you at NY NOW!